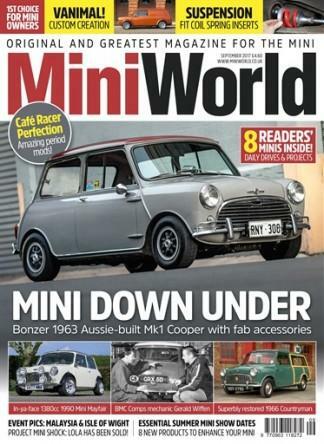 Mini World magazine is dedicated to the car we all love- the Mini. A subscription comes with 13 issues per year delivered to your door.Each issue is packed full of the latest mini news, pages dedicated to vintage models, a huge mini classifieds section, test driving, latest show events and photos and commentary of events just gone.If you or a friend are a Mini fan, don't miss out on the essential Mini World magazine subscription. Be the first person to tell us what you think about MiniWorld (UK) and you'll save $5 on your next purchase!